I painted this on vintage tote tickets in the background. 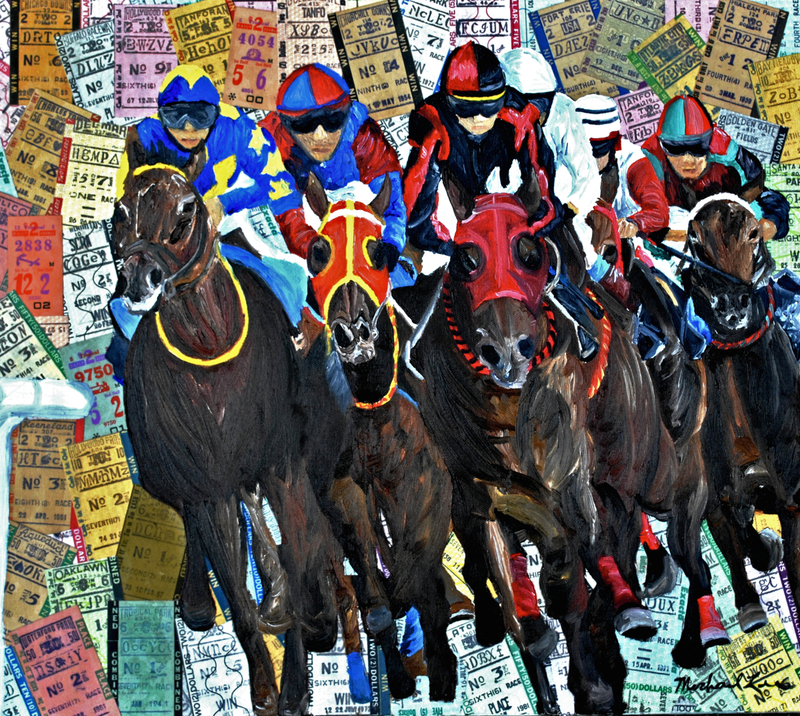 The painting is in oil and is perfect for the horse racing fan. 7.5" x 5"10.5" x 7"13.5" x 9"16.25" x 11"19.25" x 13"20.75" x 14"